Writing ABA Programs - I Love ABA! ABA programming refers to skill acquisition. The priority skills to teach should focus on the core deficits of Autism: communication, social interaction, and widening narrow interests and activities. The programs selected for instruction should answer the question "What does this individual need to know in order to be as independent and successful as possible?". ABA professionals aren’t the only ones who need to know how to write programs. 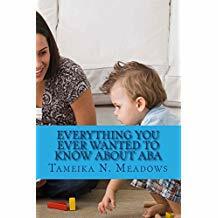 Parents also can benefit from this knowledge, especially if you are a parent providing ABA therapy to your child. Programs can be written for all kinds of skills: brushing teeth, greeting people, table manners, potty training, sharing, counting, reading, one step instruction, etc. I typically use the ABLLS-R assessment tool, which then guides my program writing. I will refer to the ABLLS-R in this post simply because it is the tool I use the most. Some people use other assessment tools, such as the VB-MAPP, or the Vineland. If you are unfamiliar with the assessment process, check out my post about the ABLLS-R which gives a general overview. I have my own program writing style that has evolved over the years. It isn’t unusual for 2 different professionals to take the same goal and teach it in two different ways. For every goal you can think of, there are multiple ways to take the child from not knowing the skill, to knowing the skill. Program writing is definitely a skill that takes time to learn, but understanding the basic steps makes the process much easier. Prioritize what to teach first: After you assess the child you are left with an inventory of their strengths and deficits. This large inventory is then narrowed down into specific skills to begin teaching. This process is child specific because it will vary depending on the child’s age, level of functioning, issues most important to the family, is the child in school or not, etc. The programs I write for a nonverbal 2 year old will be very different from the programs I write for a high functioning 7 year old. How many skills you select will also vary, but typically you want to consider the child’s ability to work for extended periods of time, and how many hours of therapy per week the child is receiving. 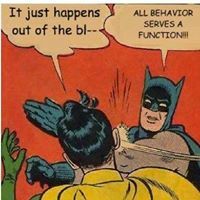 If a child only gets 3 hours of ABA per week, they don’t have enough time to work on 25 programs. There also is somewhat of a hierarchy of needs to address. Its more critical that a child be able to communicate than play with a doll. When in doubt, make skill deficits that impact communication or inhibit learning the most important. Write an objective for each program: Think of the objective as your long term goal and keep it broad. A good rule of thumb for the objective is to think about what the child would be able to learn in 6 months. “Child will be able to share with a peer for a minimum of 1 minute with only gestural prompting necessary” is a solid objective. You will then need to create mini goals to work up to the objective, such as teaching the child to tolerate being near peers, to share for 10 seconds, to share for 25 seconds, etc. Each objective needs an active targets list: There are two types of targets: active and mastered. An active target is what you are currently working on, and includes skills the child does not know yet. A mastered target is a skill the child has been taught, or already knows at the time of assessment. If the objective is “Child will be able to share with peers”, then the active targets are the small steps towards that goal. Look at the objective you created, and then think of how you can break it down into small, discrete steps. If you are using the ABLLS-R it will actually list an objective and a few active targets for each skill. There are also appendices in the back of the ABLLS-R manual that list sample active targets. Decide on your measurement of mastery: In order to get a child to a point of mastery, you need to decide how they will demonstrate to you that they are competent in a skill. 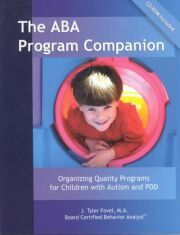 Typically, most ABA programs use the standard of “80% or higher across 3-4 consecutive sessions”. However, sometimes you need to use a different measurement system. Nothing about ABA should be cookie-cutter, so dont feel stuck in that “80% or higher across 3-4 consecutive sessions” rut. For example if the child is being taught to safely cross the street, only 80% success could be extremely dangerous. Plan for maintenance of mastered targets: It isn’t enough to write a program, teach a skill, and then move on to the next program. A common characteristic of Autism is difficulty generalizing skills, which over time can cause a learned skill to be lost. When writing a program you need to be thinking “How will I generalize this skill to various settings, materials, people, etc?” There are many ways to plan for generalization and maintenance. A way I regularly plan for generalization is to “Teach Loosely”. Teaching loosely means that I will intentionally vary where I teach, when I teach, the materials I use, and if possible who does the teaching. A favorite technique I like to use for maintenance is: Get a small card filing box. Take a stack of index cards and write a mastered target on each card. During each session, grab a few cards out of the box and ask the child a mastered target. If they still have the skill, move on to the next card. If they do not still have the skill, take the card out of the box as it may need to be taught again. At the end of the session put the cards you used in the back of the box so you will pull different cards the next day. The great thing about this technique is anyone can do it. I love using strategies that the whole household can implement. If the child gets a new babysitter who doesn’t know how to engage them, give the babysitter the box of mastered targets and a few reinforcers. This way anyone can target maintenance of skills. But trust me, it isn’t impossible to learn how to write ABA programs. There are resources out there for parents or inexperienced professionals to use that will guide program writing, or even write the programs for you. Two resources I can recommend are the Catherine Maurice guide, and the webABLLS. The webABLLS is a completely online version of the ABBLS-R assessment tool, and you plug in your child’s strengths and deficits and then print out pre-written programs. I know many parents who use this tool. 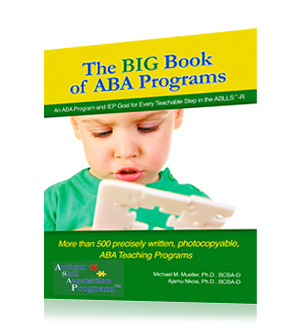 There are also companies that sell pre-written blank programs to be used in an ABA program. 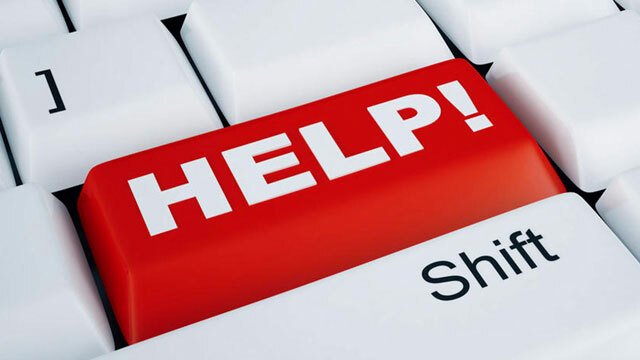 However, problems can arise when using “automated” tools like these if you don’t understand how to tweak or modify programs, such as unintentionally teaching skills out of order or not knowing what to do when progress stalls. Most of these program tools are just "program shells" that still need to be individualized and revised before they are ready to use. In other words: Don’t expect shortcuts. It is fine to use software or books/manuals to help you write programs but be aware that you will still likely need professional assistance. Im glad you found it helpful! Thank you so much!!! This is wonderful and helpful!! Hi! I just got the VPMAPP and I cant find the programs? Also I tried logging in to the online abbls for writing programs and page cant be found. Help!